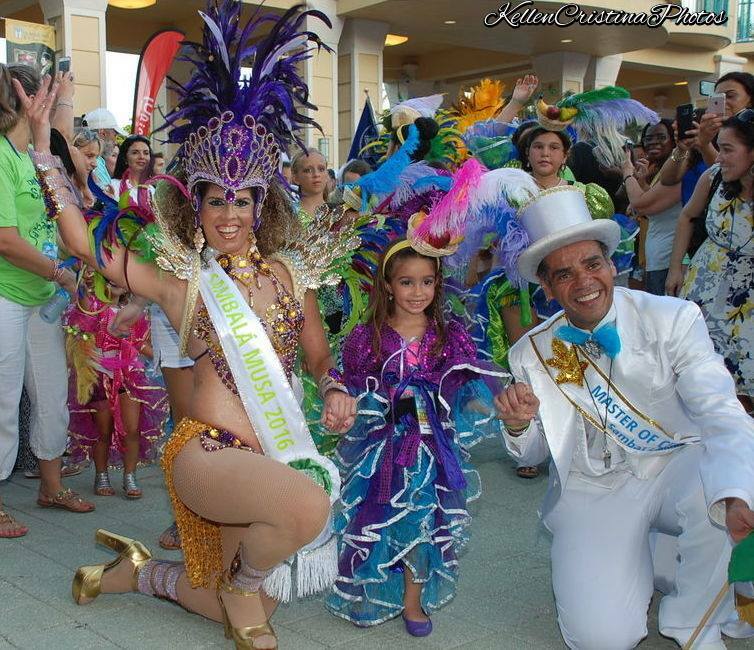 After his second visit and parading with SambaLá Samba School, Alex de Oliveira, carnaval artist from Rio de Janeiro has accepted the position of Carnaval Director and first Carnaval Artist of SambaLa School at the invitation of Doris de Hilster, Carnaval artist for SambaLa for over 20 years. Alex, former King of Carnaval for Rio de Janeiro for 10 years, was also the carnaval artist to well-known samba schools in Rio including Portela, and Rocinha. Alex will be working closely with President David de Hilster and Carnavalesca Doris de Hilster of SambaLá to take SambaLa to the next level. Included in the plans is to design a new flag and logo for the school, expand the components in the yearly parade, and to find a top samba school in Rio de Janeiro to become the “mother” samba school to SambaLá. 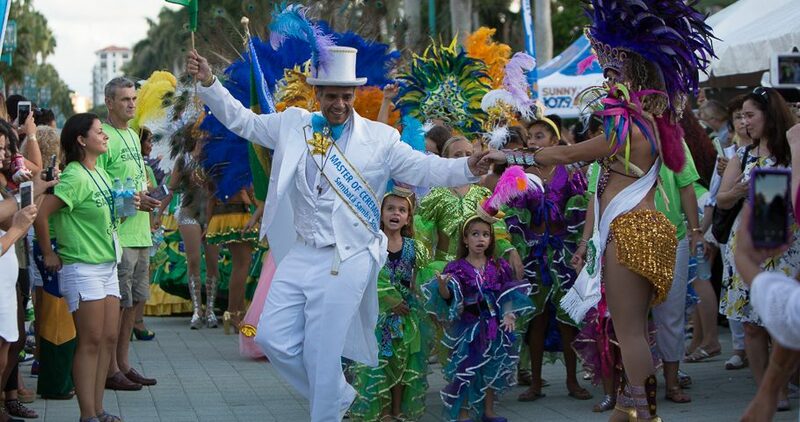 Alex dancing at the Brazilian Beat carnaval parade as master of ceremonies in downtown Boca Raton Florida in 2016.